MY FOURTH DAY IN DHARAMSALA, AND FINALLY THE DIARRHEA STOPPED. I think the Amchi medicine is working because I felt so energetic today, I took a 2km walk to nearby Bhagsu and back. How refreshing! The clouds cleared up, leaving fantastic views of the valleys and the villages below me. I am getting really attached to this place. The weather is cool but not cold, there are many food choices from Indian to Chinese, and sorts of European; and even though it is affordable, the services are top-end. People are honest and friendly, sincere enough to put our guards down and just be friends. No one wants to cheat your money and they believe only in hard earned cash. After taking a long lunch of delicious momo’s with my new found friend, Hsiao-Pei from Taiwan, she introduced me to a couple of student volunteers from National Taiwan University, and then to a pair of married couple also from Taiwan. 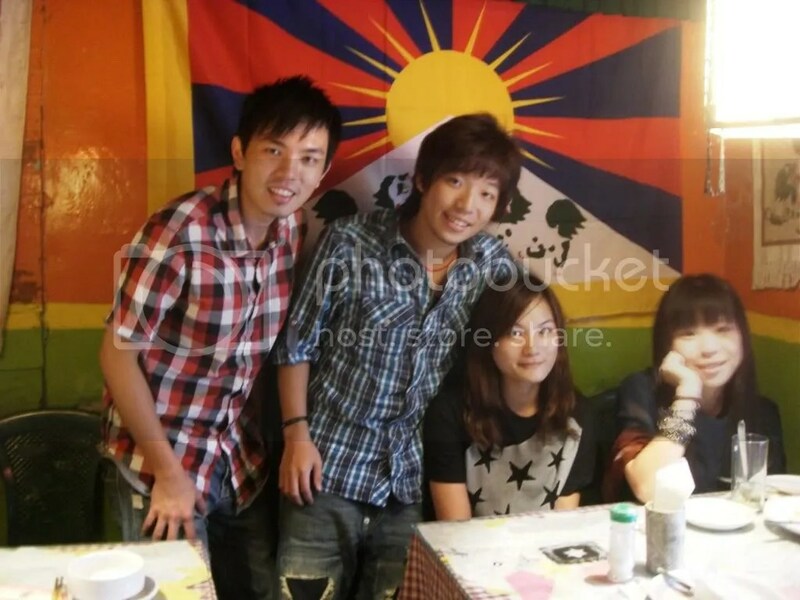 I was glad when we went to Tapu’s CD shop because this particular friend was not Taiwanese, but a Tibetan refugee. We hanged out at Tapu’s shop, where Hsiao-Pei’s iPod music and his Tibetan music constantly compete against each other, thus I call it the ‘Jamming of the stereos’. 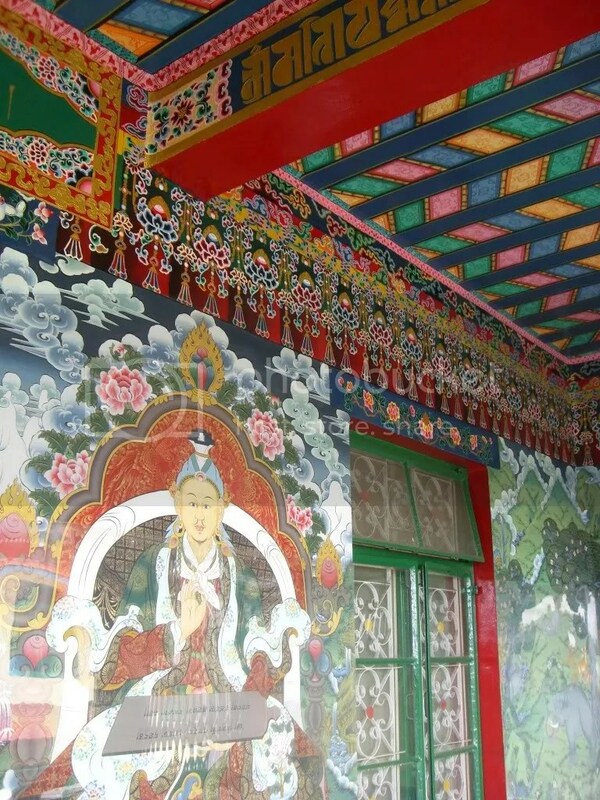 I learned a great deal about his culture, and also about his dangerous journey from Tibet to India. Apparently, Tibetans still flee to India up until this day, mostly through the barren cold Himalayas, hoping for a new chance in life. Having heard his first-hand account, and of his views about the current political situation, I became more determined in my support for Tibet’s freedom. 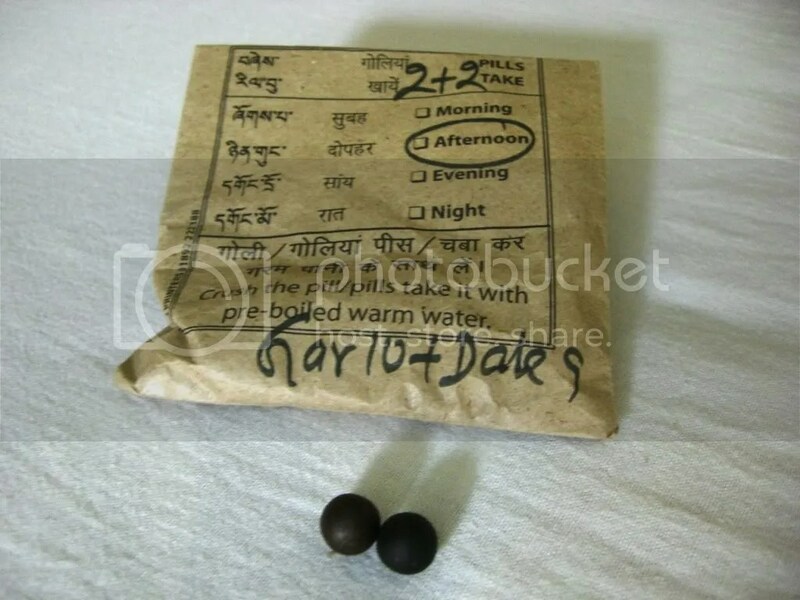 My traditional Amchi pills. It tastes a bit like Chinese herbs but made into small balls. Two Taiwanese college students (middle two) who came to volunteer as teachers in India, and Hsiao-Pei (right), lone traveler also from Taiwan. 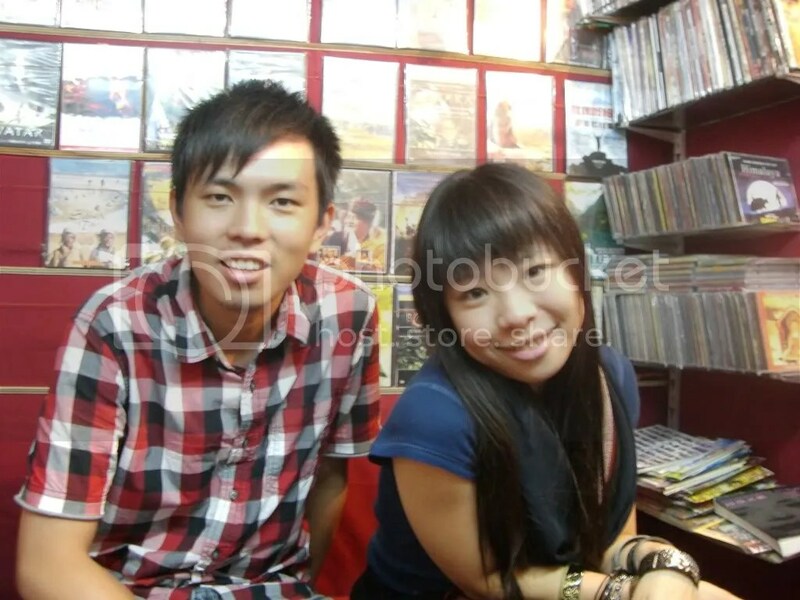 Hsiao-Pei took me to this fantastic CD shop where we can sit, listen to music and chat about everything. 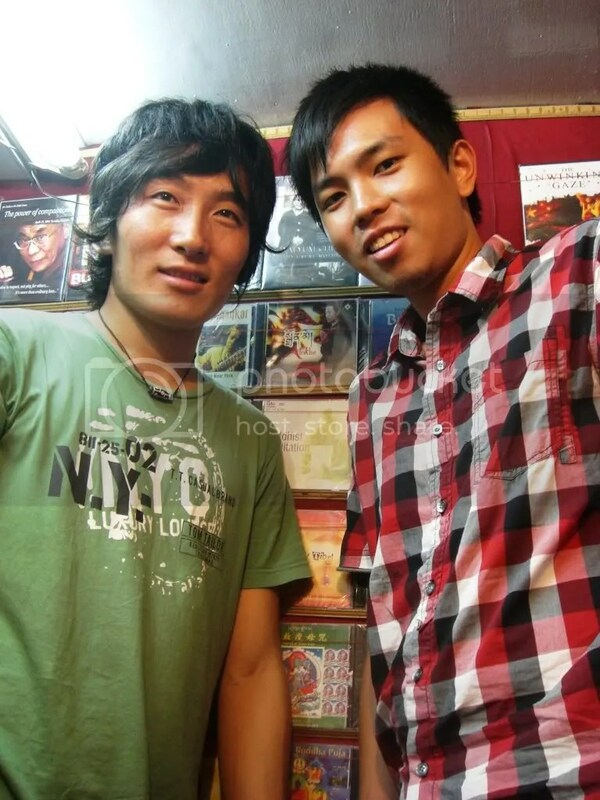 Tapu, the owner of the CD shop, an honest and likable Tibetan friend. I DID SPEND MY LAST FEW DAYS HERE READING ABOUT THE CHINA-TIBET RELATIONS, and summed up that the Chinese government is being a big bully, and conquered over Tibet with force, all the while rationalizing it amongst its people. It is sad to know that the Tibetans’ religious and political leader, Dalai Lama, is being advertised as a traitor and none of his books are allowed in Tibet. They are constantly interfering with the Tibetans’ religion while spreading the news that the government supports the monasteries. All of these are not the cultural revolution’s past, but is happening now, worse than ever. I am openly hating the Chinese government for this (but not the Chinese people). I stand corrected, but I believe all nations are doing too little to help. By being here in Dharamsala, I feel that I am witnessing a major turning point in our era. It can go either way, but I sincerely hope that the Tibetans get their homeland back sooner. Tapu is one of the nicest man I’ve met, and I am sure his people are mostly peace-loving, honest people. Someone should put an end to this bullying, or let’s also hope that the bully grows up someday. 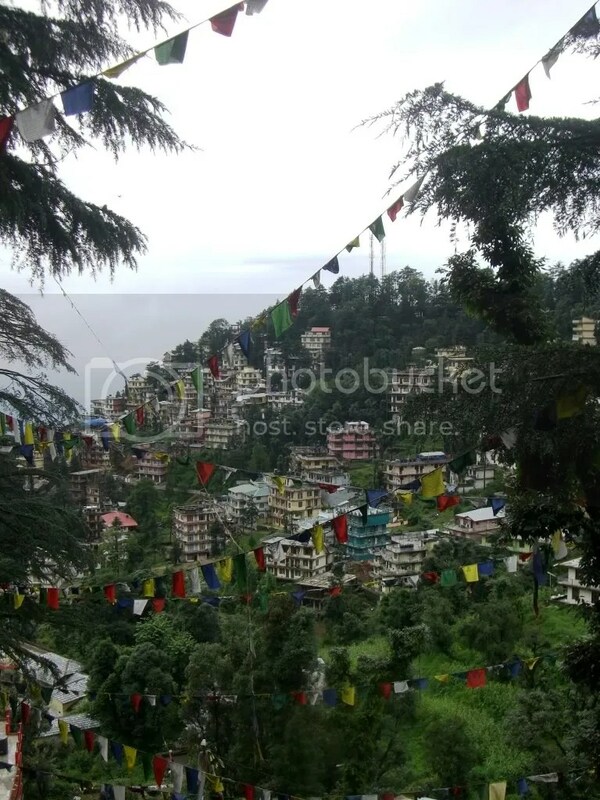 A view of Dharamsala from a nearby hill.